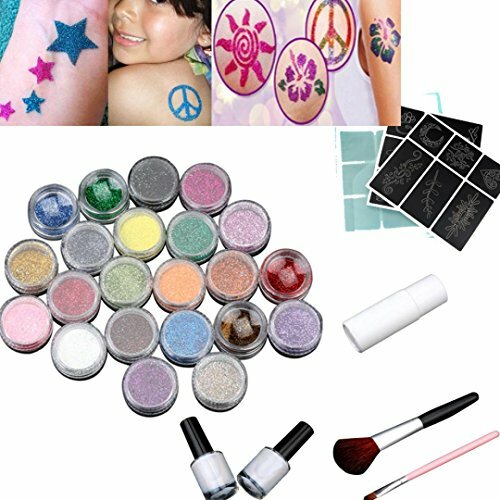 This is a set of temporary tattoo kit with 4 colours which can give you the most fashionable tattoo style. You can use Shimmer Glitter Tattoos anywhere...arms, back, face, really anywhere! Shimmer Glitter Tattoos are water proof and last up 5-10 days.